As the sixth leading cause of death in seniors, Alzheimer’s disease is an increasingly prevalent disease among people aged 65 and older. As of 2011, 1 in 8 older American’s were living with Alzheimer’s symptoms, with the number increasing to nearly 1 in 2 with the 85 years and older population, according to the Alzheimer’s Association. People with Alzheimer’s disease may require a higher level of care as their symptoms progress and activities of daily living become a greater challenge. Offering Alzheimer’s training courses to your caregivers, and training select caregivers to become specialists in Alzheimer’s home care allows you to market your agency as knowledgeable and well trained in Alzheimer’s care. Many people with Alzheimer’s symptoms will require round-the-clock care, meaning that multiple caregivers will be providing staffing for one client. Due to the unique symptoms of Alzheimer’s, such as wandering and agitation triggers, and specific activities that increase confusion, there is a wealth of information to share. Home care software, or a robust home care system like that available from ClearCare allows information to be easily shared easily between caregivers and family members. 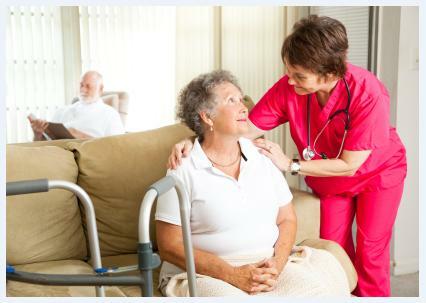 As you focus on business development and how to win additional customers, consider focusing on your capability to provide reliable, competent home care services for people with Alzheimer’s symptoms. Advertise your agency as a leader in Alzheimer’s home care, show off the capabilities of your home care system or home care software, such as ClearCare, and help fill a potential void in home care for local seniors with Alzheimer’s. Is your agency working to provide service to more seniors with Alzheimer’s disease? If so, leave a comment and let us know how you have won more clients with Alzheimer’s symptoms.